Has your game got the blahs? Are your players spending more time thumbing through your book collection than hunting down clues, more energy heckling one another than in crushing their cruel foes? Never fear, o beleaguered Game Masters, for Robin D. Laws, noted game designer (Feng Shui, Hero Wars, Dying Earth, Rune) and columnist for Dragon magazine is here to help. 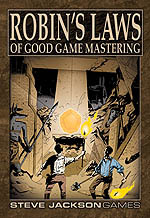 Robin D. Laws' collection of game mastering wisdom seems at first deceptively slim. But this should be required reading for anyone who has ever – or who ever wishes to – actually run a game for other thinking human beings. Campaign design, adventure design and plot hooks have certainly been discussed ad nauseam in many an article before, but I don't remember any advice being as basically sound nor as solid as Robin's. In Dragon Magazine, I have the pleasure of illustrating his "The Play's The Thing" column. I'm just glad I now get to enjoy his thought-provoking insight and erudition without having to stare down a deadline at the same time. If ever any university taught Game Mastering 101, this would be the textbook for the course, and Robin would be tenured many times over. 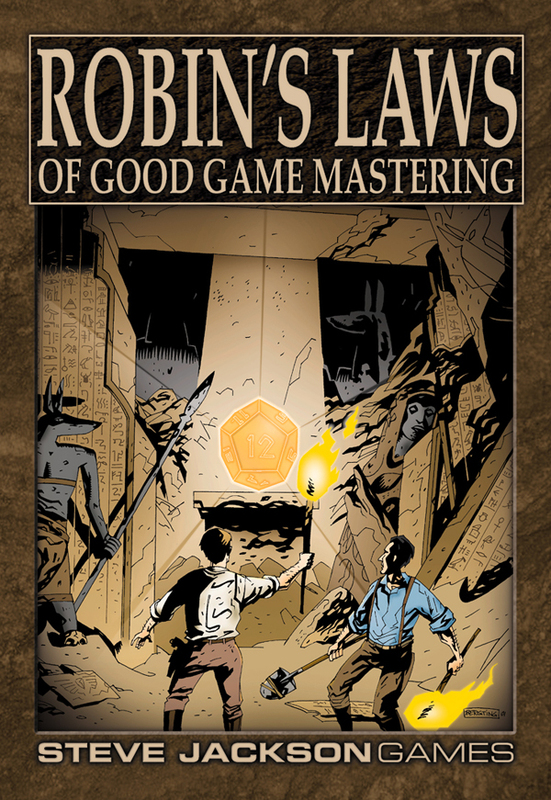 Discuss Robin's Laws of Good Gamemastering in the Steve Jackson Games Forums.